Ever since the first day Keith stepped foot in the city of New Orleans, he was enchanted by the culture and music that surrounded him. At that point he vowed to make New Orleans his home. After college, Keith began a career in the bar business in Houston. During this time, his dream took shape: To open a music space in New Orleans whose primary mission was taking care of musicians. Fast forward to 2015. 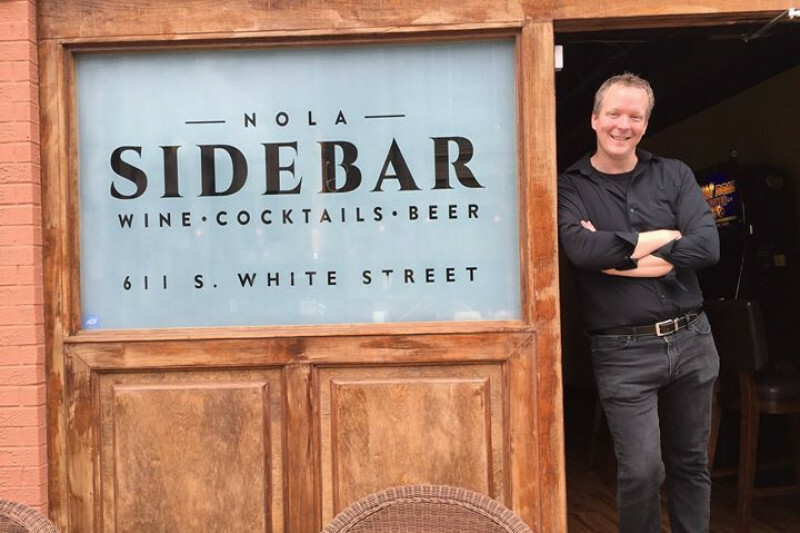 Keith took the plunge in pursuit of his entrepreneurial dream and opened a small watering hole called SideBar Nola in an "off-the-beaten-path" space in Mid-City New Orleans. A year or so after opening the doors, with the help of his dear friend Andy, SideBar revived Andy's creative sound art series called "Scatterjazz". 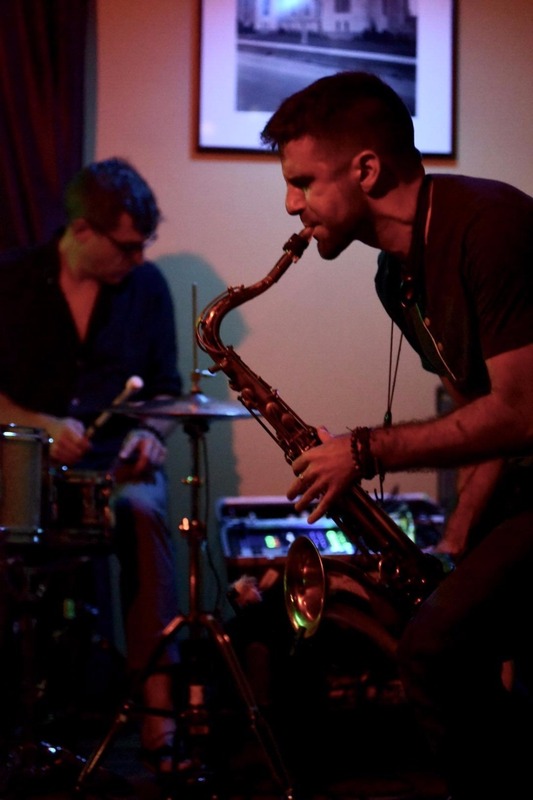 The revival of the now-regular “Scatterjazz” series at SideBar has injected some fiery new breath into the New Orleans music community, and is attracting musicians from across the city and across the globe. Since the revival, SideBar has rapidly established itself as perhaps THE space for creative sound-art in the city. SideBar has become a destination as a listening room praised by musicians and music lovers alike. Many renowned local and international contemporary and experimental jazz figures have since performed and, continually request the chance to perform again and again. Local guitarist Carl Leblanc referred to SideBar as, “our temple: the space where we can really play what we want to play, and to grow in new ways”. This sentiment is echoed loudly and clearly by all of the artists who have taken the stage. The deep-felt response from the artists is what has made presenting music at SideBar so special and so essential to our city. The musicians are supported financially, and given complete freedom artistically. prior to hosting the Scatterjazz series, SideBar has experienced hardships many businesses experience in their infancy. SideBar has fallen victim to an overwhelming burden of expenses and back taxes that accrued during the days before many knew of the bar's existence. The City, the Parish and the State of Louisiana is now demanding SideBar pay all back taxes and permit renewals in full, immediately, or they will revoke all licenses and permits and SideBar will be forced to close. At this point, we have no other choice but to ask for help from friends, family, neighbors, musicians and music lovers in order to get financially current with all municipalities. The mountain to climb is a substantial one, but it is one whose summit must be reached. The importance of this space for music, and for musicians and music-lovers, cannot be overstated. SideBar has already gained a reputation far beyond the Parish boundaries, but now it is critical to keep it alive at home. Once SideBar can pay-back the distant past, it can continue to thrive and grow for the present and the future in this truly beloved city. Myself, Andy and the team at SideBar are truly humbled and honored to curate and nurture a nexus of creativity for all musicians, friends and neighbors in this city that we love so dearly. our small but amazing team here at SideBar. If a financial contribution is not an option at this time, please consider contributing by sharing this campaign or enlisting the help of friends and family. * The $10,000 goal is just the tip of the iceberg and just clears the tax and liquor license debt that the bar has accumulated. (What we owe in back rent is very significant and not included in this goal). * Below is a rough breakdown of the current goal. If we are able to knock out the most crucial parts of the goal we may increase the goal to try and hit other debts if we are unable to make traction through daily revenue generation.